Artists in Zimbabwe have shared their displeasure at the slow process that the Ministry of Youth, Sport, Arts and Recreation is taking to avail the budget to the Arts sector and avail a strategic plan to that will see the implementation of Arts programs. A dancehall artist from Chitungwiza Arnold Tsungirirai said , "We have seen nothing of note that the new Minister is doing to attend to our needs as artistes. Recentky she was given a budget, but she has been quiet al she is busy doing is posting on Twitter about Athletics, Rugby and Olympics and nothing about artistes. We celebrated when we saw her being elected but she exhibits she lacks even the charisma of being inspirational that the last Minister had." Another artist from Bulawayo Desire said, "As artist we are still waiting for the minister and her ministry to engage us about strategic direction through agencies like the National Arts Council of Zimbabwe. The fact that we have seen no engagement up to now, but we see the minister on social media flying all over the world attending swimming events and athletics shows us where her priorities really. As arts associations we are now trying to make efforts to engage NACZ leadership led by ubaba uNicholas Moyo so that at least we get a direction for 2019 programs." However seasoned playwright and Arts director Bhekumusa Moyo said perhaps the minister is going through a consultative process so as to come up with a clear working formula for the sector. "I have seen the Minister and her team engaging in consultative processes and I assume she is doing that which is progressive. However, I would like to point out that if I was in her shoes, I was not going to waste tax payers money in engaging in consultations because even the last minister Maakhosini Hlongwane did consultations and I bet the reports are still lying and gathering dusts. What the honourable minister should do is do get those documents and include them into her 2019 strategic plan so that we can have a viable sector in 2019. Also, the portfolio committee on Arts is better positioned to call for consultations so that they hear from the Arts Council and Arts associations what is needed in the Arts sector and those reports can be used to oversee the drafting and implementation of Arts plan for 2019." Moyo said. Kirsty Leigh Coventry was appointed into Minister of Youth, Sport, Arts and Recreation in September 2018. 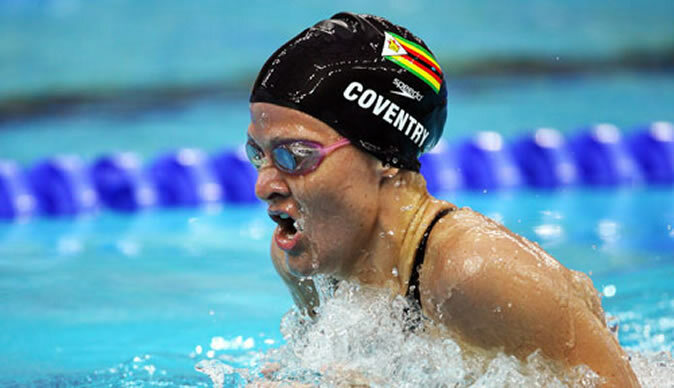 She is a former swimmer and world record holder, and the most decorated Olympian from Africa.